Saving money can often feel much harder in reality than what it looks like when planning out a budget. Many people may force themselves to put away much-needed earnings for their dream trip away, car or home, only to dip into it for weekly necessities such as rent, food or a large utility bill. Some people do not even attempt to save after completing their budget as they predict they will have no remaining cash to play with if they do. Many people do not understand the concept of saving and struggle with the reality of putting money away. To avoid being in the red, and to ensure you have more opportunity to do everything you desire while still filling the piggy bank, there are a few tips to help you. While traditional savings can be considered to be the ideal way to save for many; others are opting for salary sacrifices for bigger purchases. A salary sacrifice allows you to buy a product, and pay it straight out of your wage. Through sacrificing a small amount each week, you can consider purchasing a large item such as a new laptop, or even a car. Essentially, it is like a loan without having to go through the burden of proving your income or even having to borrow the money. Your workplace will deduct the payments before they even enter your account, and is the price of the product is ultimately determined by how much you earn. These are also a great way of saving money on products, with many retailers offering discounts through a salary sacrifice. You can use the easisalary salary sacrifice calculator to find out how much you'll save, and work out whether it is something worth considering for yourself. Of course, you could always consider using the traditional savings method of putting money away into an account each week. If you struggle with this concept, it is a good idea to put any money you plan on saving straight into a savings account that you cannot access without going to the bank. If you still feel as though this concept is too easy, many millennials are even transferring money into their parents accounts for them to save and oversee. The hardest part of saving money is separating with your hard earned cash. 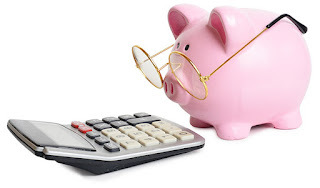 It is important to remember to start saving smaller amounts, and gradually increase your savings over time, when you become used to the amount you are handing over to your savings. Regardless of whether you opt for a salary sacrifice, putting money into an account with restrictions or handing the money over to your parents, you are sure to begin to see growth in your savings. By beginning by putting small amounts away, you will soon learn to live with lesser incomings from your wages. Over time, as you become accustomed to the amount you now live from, you may even consider adding more to savings, seeing you buy that car, home or take your luxury holiday.